With learner drivers forking out hundreds of pounds to get behind the wheel, here are some tips on keeping your costs down. Learning to drive and getting that coveted pink licence is a rite of passage for many, but it can leave a sizeable dent in your wallet as well. But a little planning can save you a few quid, giving you more funds to put towards your first car. When learning to drive, a fee to obtain your provisional licence will be one of the first costs you’ll encounter. This is £34 if you apply online, or £43 by post. This will allow you to drive a scooter or quad bike from age 16, and to drive a car at 17, as long as you are supervised by an approved instructor. 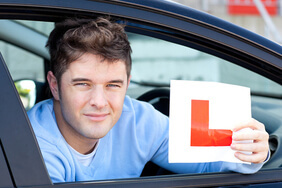 This type of licence will cover you for when you are learning to drive. 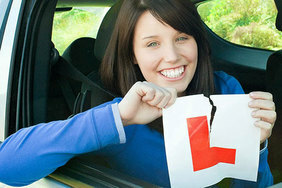 But once you have passed your driving test your provisional licence will be exchanged to a full drivers licence for free. When working out your budget for learning to drive, don’t forget that you’ve got more than just the lessons to think about. You’ll also need to factor in revision aids, licence application costs, and the cost of the theory and practical tests. So, even if you manage to pass your test first time, earning the privilege to be on the road can cost upwards of £1,300. £34 online, £43 by post. £31. Full kits available from £20. £86 on weekdays before 4:30pm, £99 otherwise. Of course, the number of lessons you need, and the amount you’ll pay per lesson, can vary depending on your circumstances. This doesn’t include buying your first car, paying tax or getting it insured though. Adding this onto the total can bump to cost up to around £5,000. Taking driving lessons will undeniably be the most costly part of learning to drive. On average, lessons cost around £24 a go. 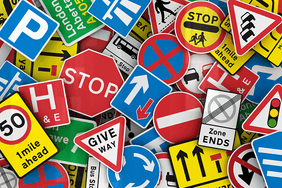 Many driving schools offer you the chance to block book lessons to save on costs, as well as planning your lessons well in advance. You may also find intensive driving courses, where you can take driving lessons over the course of a few days back-to-back, worthwhile. However, while it may speed up the preparation for your practical test, it can be a lot of information to take in at once compared to weekly lessons that allow your new skills to sink in. If you’re not sure about intensive courses, most instructors will allow you to take an assessment lesson before you commit to the full course. How can I cut the cost of learning to drive? You’ve got enough on your plate without worrying about how much this is all going to cost you or, if you’re lucky, how much it’s going to cost your parents. Yes, you’re eager to rip up your L-plates. But if you jump the gun and take your test before you’re ready, you could be lining yourself up for a fall. In addition to having to take extra lessons between tests, you’ll have to pay to re-take the test itself, which can be an expensive business. The extra time you spend on lessons to make sure you’re ready for the test could save you money in the long run. If you’re just starting out, make sure you take some time to shop around for the best deals on lessons. 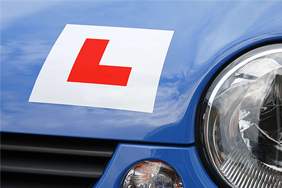 A number of driving schools offer reduced rates for introductory lessons, and some may even offer them for free. You can also search sites like Groupon, Wowcher or HotUKdeals for local driving schools offering special rates for the first few hours of tuition. Don’t let a low price mean you compromise on the quality of the lesson, though. 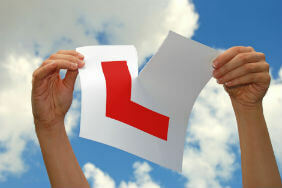 Where you can, it’s best to go with a qualified and approved driving instructor. Paying for your tuition on a lesson-by-lesson basis could cost you the earth. Most driving schools offer discounts when you book lessons in blocks, with a block of 10 hours being standard. Block booking could save around 20-25% off the cost of your lessons, which is nothing to be sneezed at. The more you can practice behind the wheel, the fewer lessons you may need before you’re ready to tackle the test - and the less it’ll cost you to do so. If you’ve a friend or family member who’s suitably experienced, have them sit with you while you practice between lessons. You’ll need to make sure that you’re both insured to drive the car you’re using, though. A handy way to speed the whole process up is to get cracking on your driving theory before you even have your first lesson. Instructors will likely go over the fundamentals of driving and the Highway Code with you during the lessons, so having prior knowledge of this will help make you a better driver in less time. Karen Parker, former AA driving school instructor, says: "You can save yourself a fortune if you do some work before you start having lessons: so learn about the rules of the road, and read the Highway Code. "In lessons, we start by talking about the theory side, so if you’ve already covered that then it will cost you a lot less. And those that do prepare like this tend to learn a lot better."